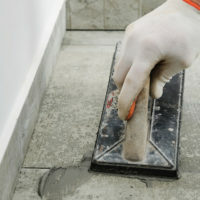 Homeowners with dirty and damaged tile surfaces often mistakenly believe that tile replacement is the only way to restore their home to its former glory. In addition to tile replacement, The Grout Medic offers a wide range of services to improve the appearance of tile and grout. You’ll be amazed at the number of services we offer to help our clients beautify their homes without needing to remove tile surfaces and start from scratch. Let’s take a closer look at some of the ways we can help beautify your home without needing to retile everything. Not only are loose tiles an eyesore, they are a health hazard! Water and bacteria are easily trapped beneath loose tiles, creating a perfect environment for mold and mildew to thrive. These can create a number of health issues for your family, including skin irritation and breathing problems. The Grout Medic can effectively seal loose tiles, extending the life of your tile surface and assuring greater safety for your family. For individual tiles that are chipped or broken, The Grout Medic can provide tile replacement! We’ll deal with chipped and cracked tiles, replacing them so that they perfectly match the surrounding tiles. While we’re at it, we’ll identify and clean up any water damage you might have sustained with loose tiles. With our help, you can rest assured that you and your family will enjoy a safe and beautiful tile surface for years to come. Even the most careful and diligent homeowners sometimes find that they have trouble keeping their tile surfaces clean. That’s because tile and grout can stain easily. 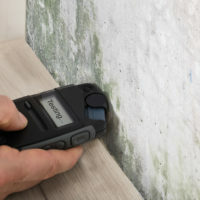 As porous surfaces, they are virtual magnets for dirt and bacteria – and it can be hard to keep them clean using products bought at the grocery store. Not only can The Grout Medic give your tile surfaces a thorough cleaning, we can do it without the aid of harsh chemicals. We use steam technology to thoroughly clean tile surfaces, making ours a safe and effective service for every homeowner. Best of all, we can seal your tiles to ensure they look great and are easy to clean for years to come! A good deep cleaning coupled with our sealing service is a great way to upgrade your home’s appearance. If your grout is severely damaged, it might be time for our regrouting services. Old and substandard grout can lead to loosened tiles in addition to detracting from the appearance of the surface. The Grout Medic can actually remove old grout without disturbing the existing tiles, making this service a great option for those who want to enjoy the benefits of a brand-new surface without needing to sacrifice the tiles you love. We’ll remove your old grout and replace it with new high-quality grout, ensuring that your tiles are properly sealed and will stay in place for years to come. These are just a few of the valuable services we offer to help homeowners beautify their tile surfaces. Contact us today to learn more about how we can work within your budget!